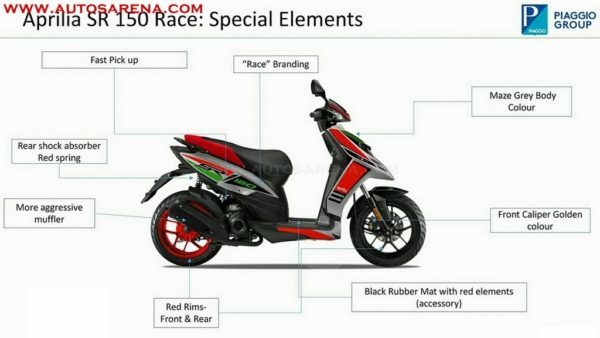 Aprilia SR150 RACE edition sports news RACE graphics, new color & Red rims. 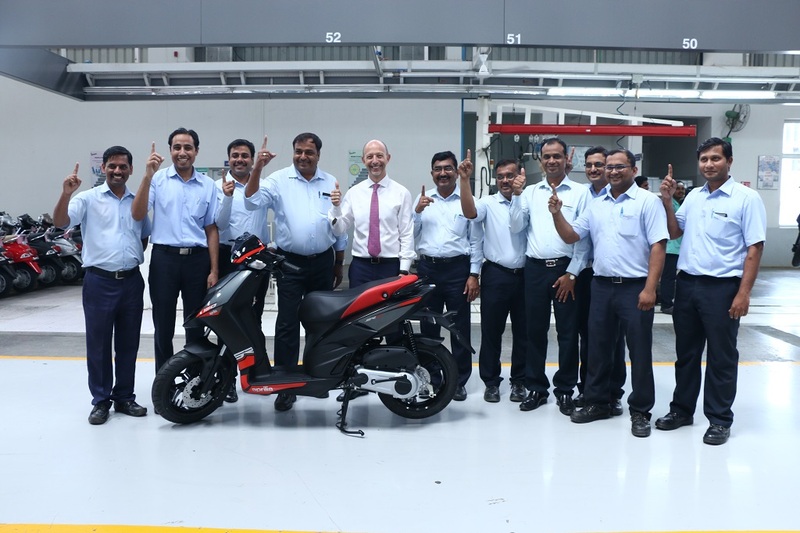 Italian scooter maker has introduced the Aprilia SR150 RACE edition. 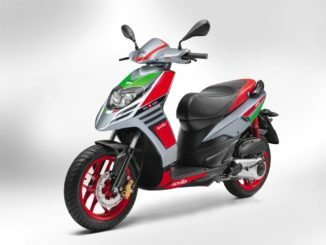 The Aprilia SR150 RACE edition comes with new color option and enhancements which make the Aprilia SR150 look even stunning and sporty. The changes are pure cosmetic and there no mechanical changes to the scooter. 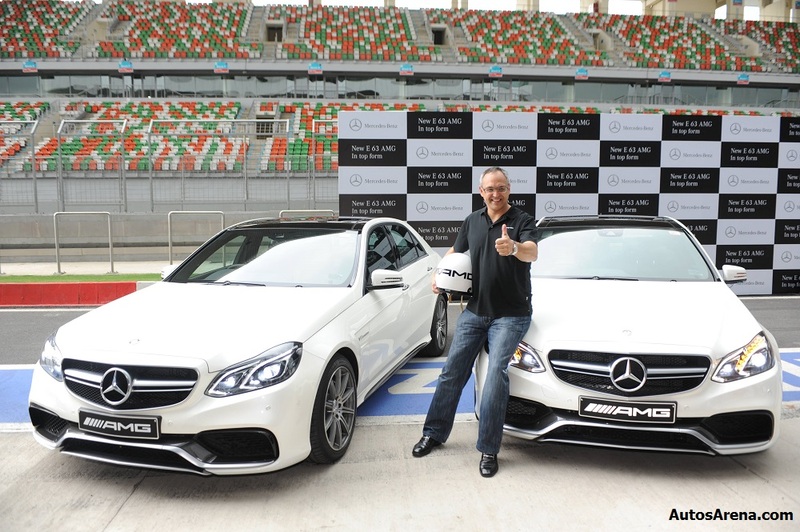 The SR 150 features a 150cc engine with max power of 10.4 bhp @ 6750 rpm and max torque of 11.4 Nm @ 5000 rpm. 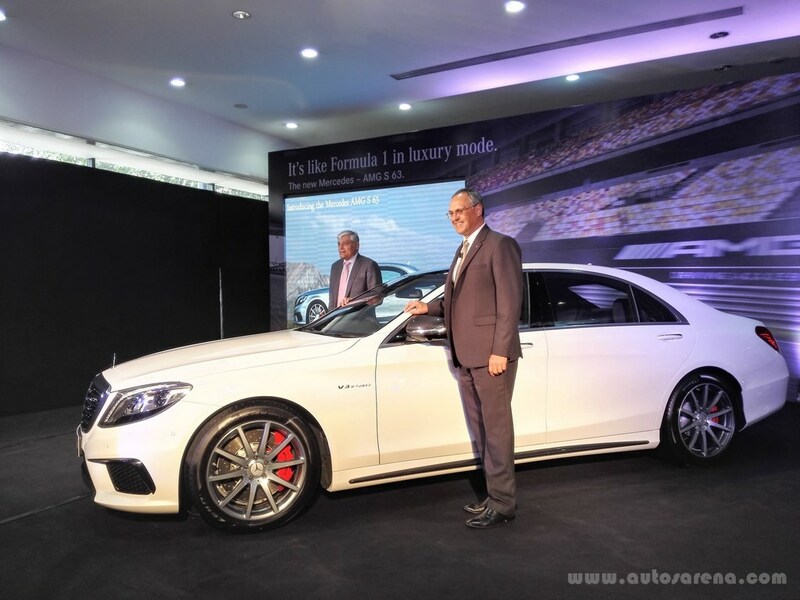 Suspension includes a hydraulic telescopic front fork and a single rear arm suspension. 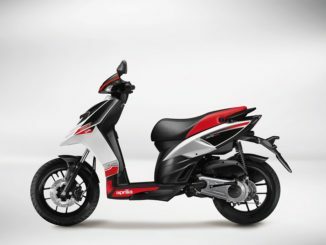 The SR 150 features integrated side indicators, double barrel headlight unit, twin pod instrument cluster, bag hook a very essential when going shopping, racer bike styling, 220mm ventilated front disc brake, a CVT transmission, large 14” alloy wheels, dual tone color seat and under seat storage with a USB charger. 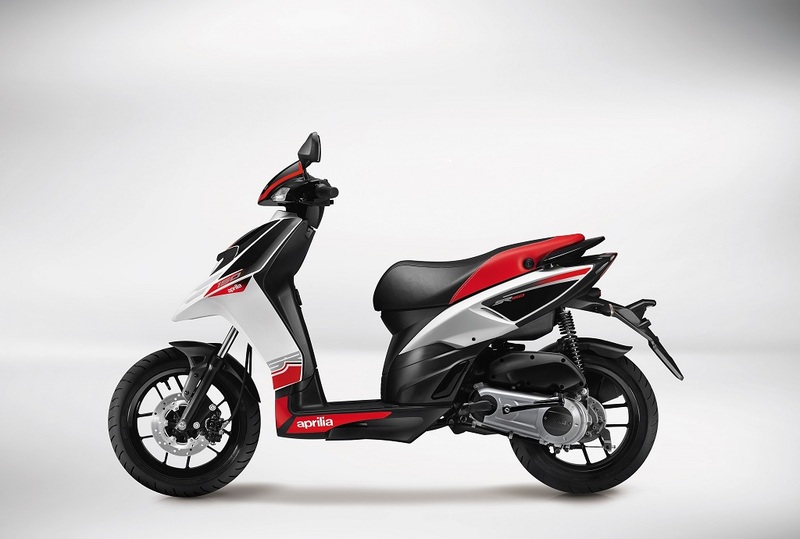 The Aprilia SR 150 RACE edition is on sales at dealers across India. 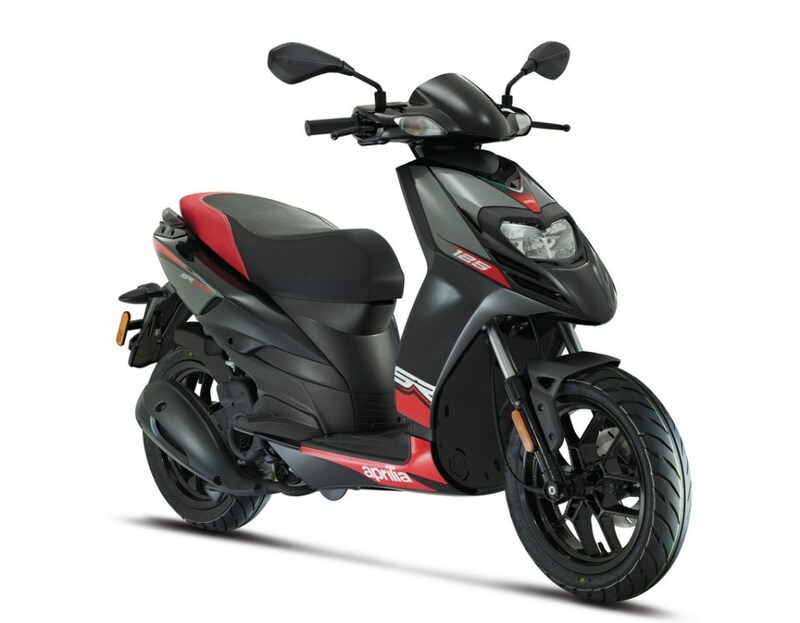 The Aprilia SR 150 is targeted at patrons looking for the sensation of sports bikes coupled with the convenience of automatic scooters.